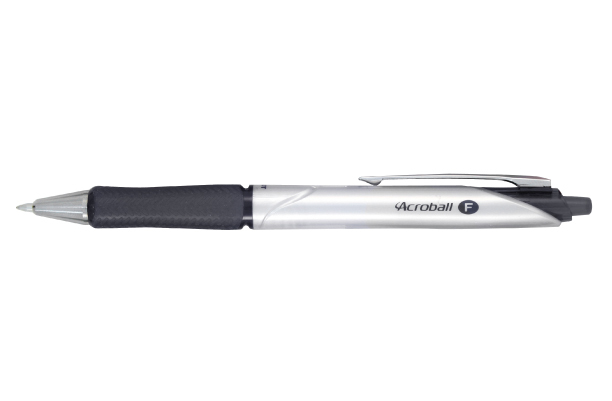 Price per box of 12 - The Pilot Acroball 15 is a superior retractable ballpoint pen with an advanced ink formula which is super smooth and quick drying. The modern, semi-transparent barrel denotes the ink colour and the unique rubber tyre grip enables you to grip the barrel tightly, enhancing your writing technique. The Acroball ink is resistant to water, light, alcohol, acid, amonia, bleach, acetone, oil and more. It is cheque and archive safe. Colour Ink: BLACK Ink matches barrel colour.